Cancer.net, an oncologist approved cancer information site from the American Society of Clinical Oncology (ASCO), has released a free iPhone and iPad app — full of handy features for cancer patients. 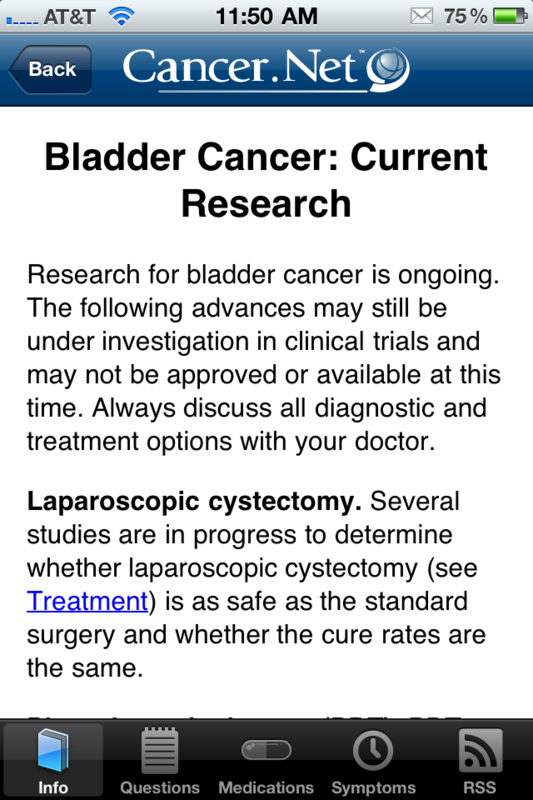 The free app allows cancer patients and their family members to look up pertinent information based on cancer type and download a wealth of oncology related information in the form of videos, podcasts, and up to date articles. 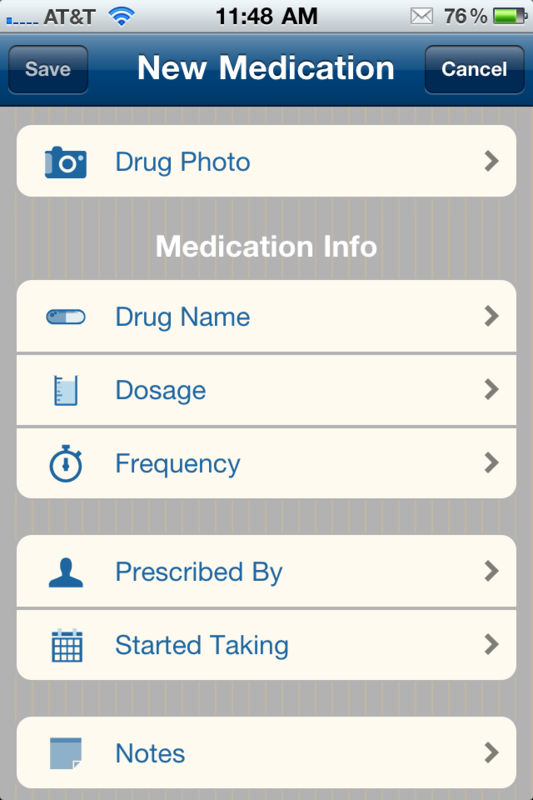 Where the app truly shines is in there key features: Ability to store questions, medications and symptoms. The way this app implements these key features is absolutely stunning, and makes the application a must have for cancer patients and their family members. This review will explore these features and how your patients can use this app. 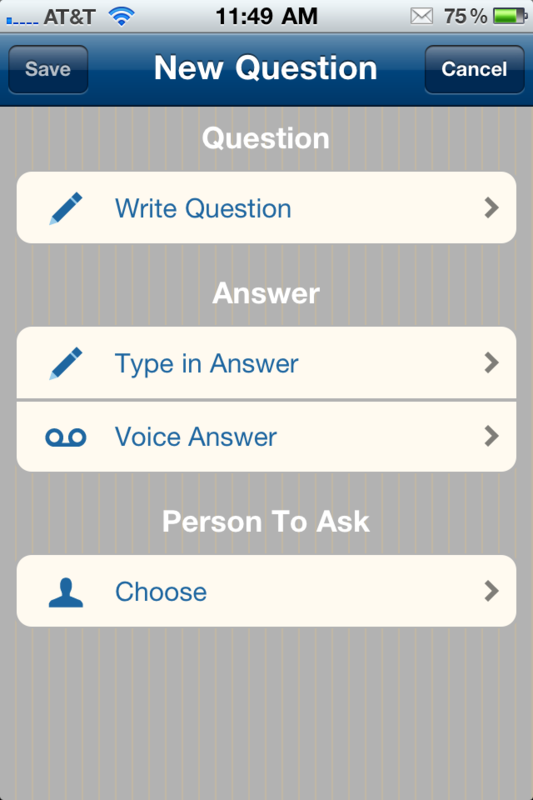 Questions can be assigned to particular physicians, and the app brilliantly includes a “suggestions” area — where patients can see questions they might want to ask. This is taking patient empowerment to a significantly greater level. What’s more, you are given the option of storing your answer in voice form! Why is this important? Many patients undergoing chemotherapy have peripheral neuropathy, making it difficult for them to type on even a touch keyboard. Allowing them to record their voice, or possibly even asking their physician to record their answer, makes this feature very useful. 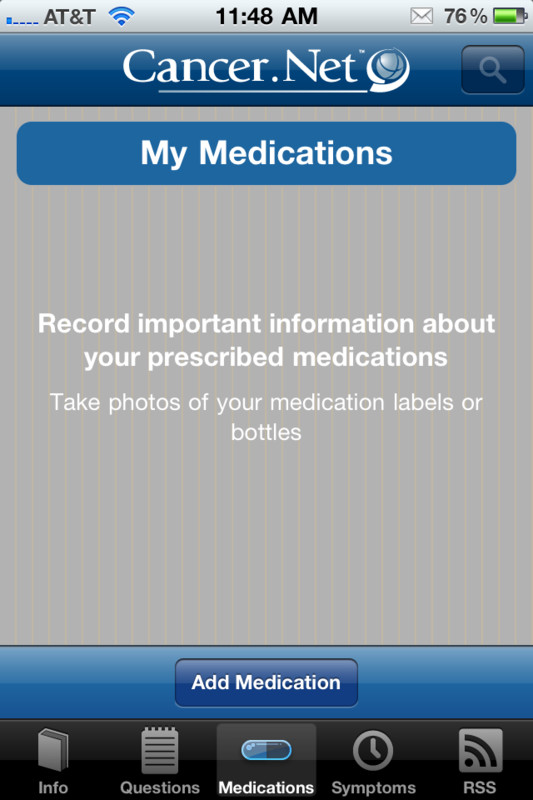 The Medications section allows patients to store their various prescriptions in detail — you are able to assign a dose, frequency, start date, and the provider who prescribed the medication to you. This section could definitely be made more useful. Many chemotherapy regimes are very structured, and enabling patients to put start and end dates on a calendar would have been very useful. Another key area to add would be radiation therapy — something many cancer patients undergo in conjunction with their chemotherapy regimes. 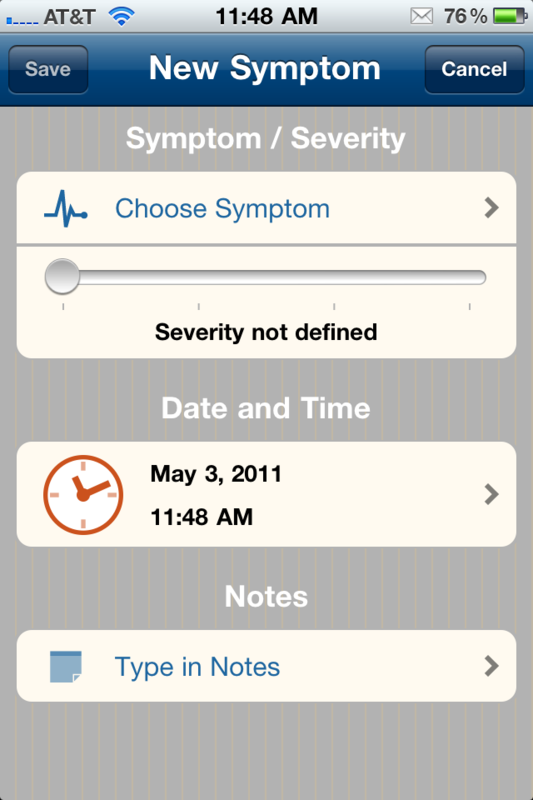 The Symtoms section has a great user interface, enabling patients to choose from various severities, and time stamping their symptoms. You’re given the ability to put in ancillary notes within this section as well. 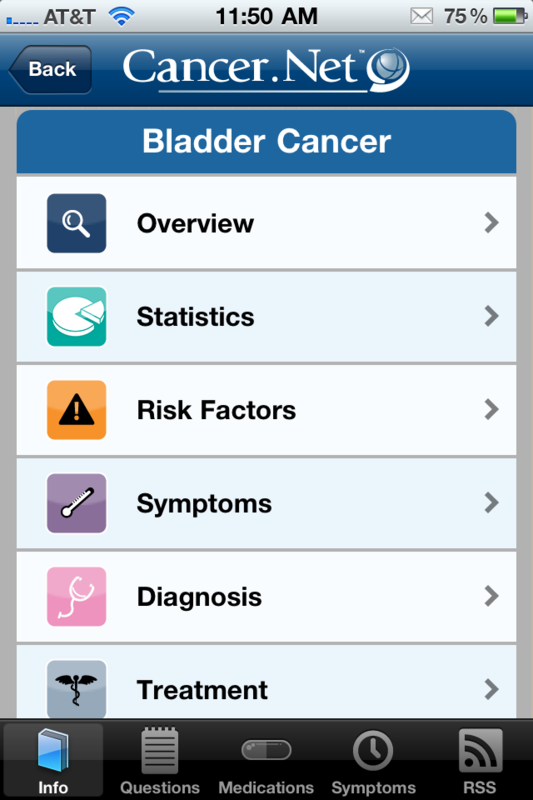 The app provides a wealth of oncology related information in the form of articles, news, and videos. You are able to download this content within the app, and some of the information is natively provided as well. Cancer.net Mobile is a must have application for cancer patients and their family members. It’s provides a wealth of oncology related information that the American Society of Clinical Oncology (ASCO) signs off on, assuring you of the legitimacy of the content. 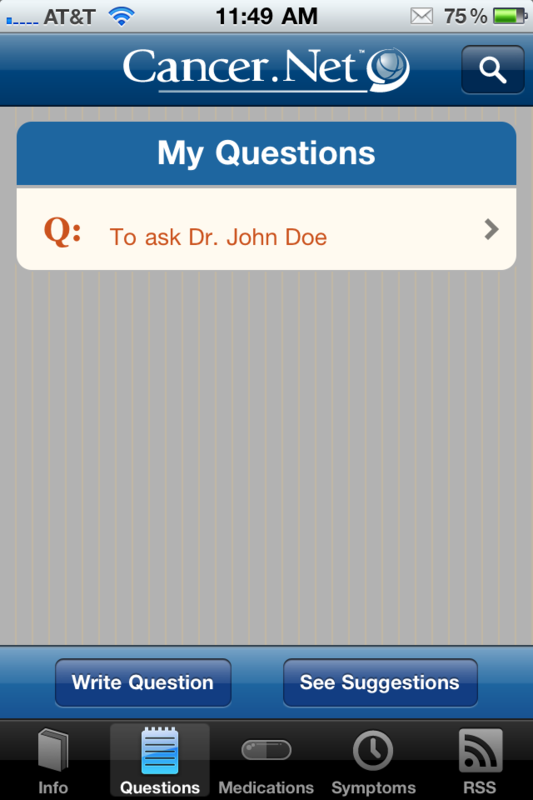 While the multimedia content itself makes the application very valuable — the ability to store questions in an innovation fashion, along with a medication and symptoms section, makes the application one of the best in the App Store for patients.